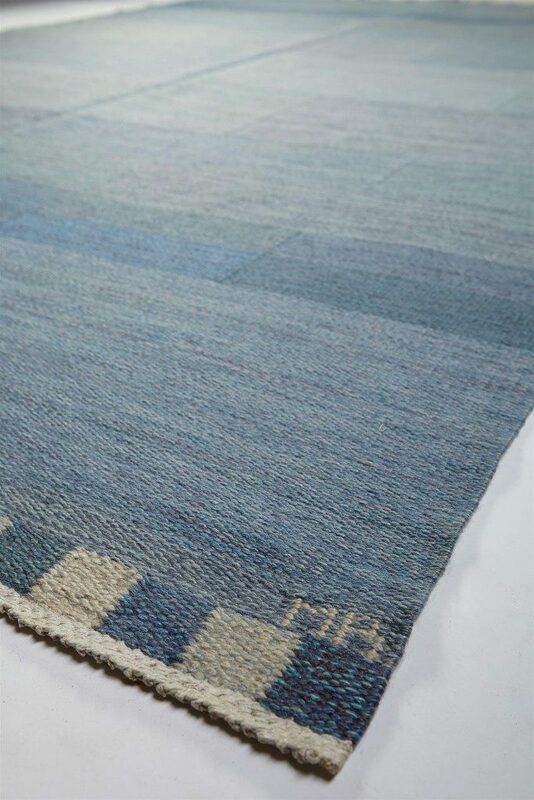 Swedish hand-woven rugs signed MMF are the absolute finest rugs manufactured in Scandinavia this past century. An ever-growing international crowd of modern design lovers show their enthusiasm by purchasing these stunning pieces for their interiors. 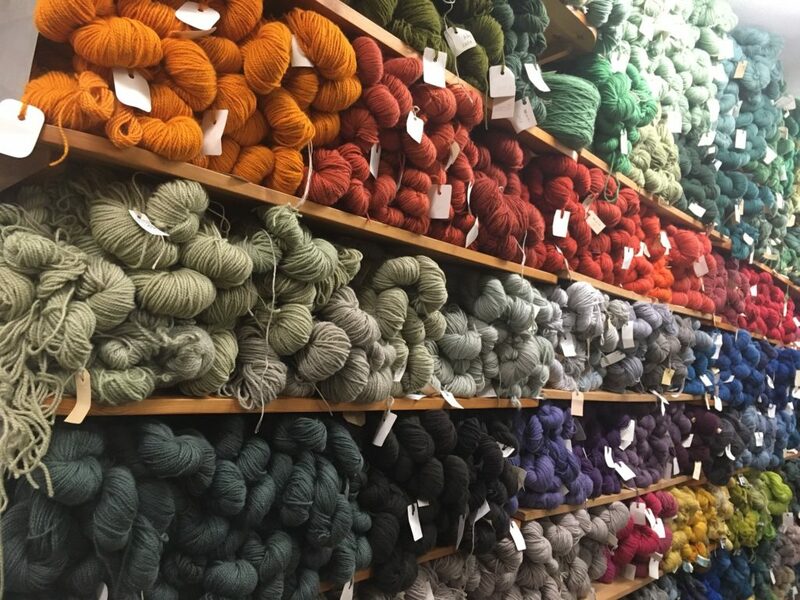 “One of the first things I discovered when I got to Sweden 20 years ago, were Märta Måås-Fjetterström’s rugs. I had never seen such patterns nor colors in a rug before. They were popular here in Sweden but largely undervalued internationally”, explains Andrew Duncanson, Modernity’s founder. Märta Måås-Fjetterström established her workshop in 1919 in the small coastal town of Båstad, in the south-west of Sweden. Over the course of the next decades, she would become one of the most prominent figures in the history of the Scandinavian textile industry; the woman who took textile into the realm of fine art. By bringing traditional weaving techniques back to life, she produced compelling work of exceptional quality and craftsmanship. 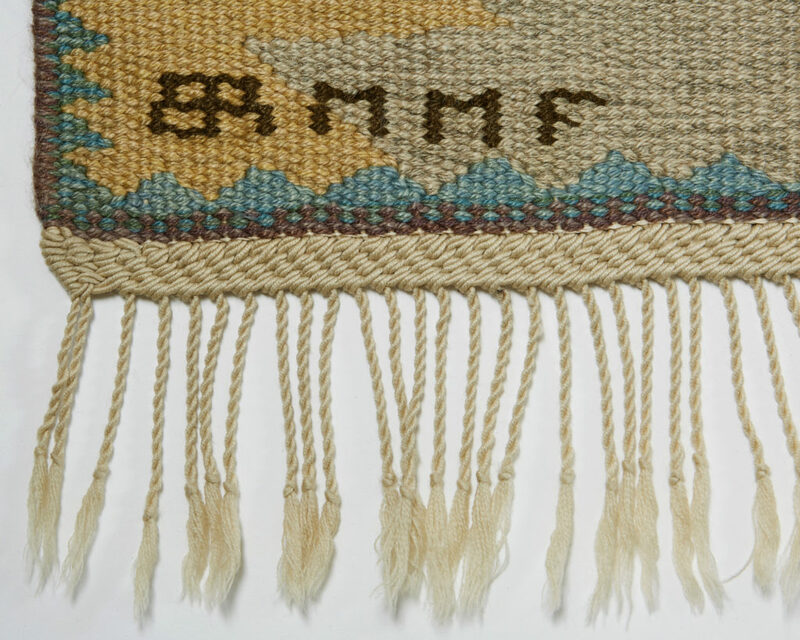 When Märta Måås-Fjetterström died in 1941, Barbro Nilsson succeeded her as workshop director and continued to create flatweaves and pile rugs. Ms Nilsson's creativity hardly knew any limits and led to the invention of tapestry-woven rugs. The playful way in which she used patterns and subtle colors is, according to us, remarkable. Using different styles, colors, and patterns, mixing modern and antique, is today’s trend in interior design. Exclusive Swedish weaving, with its exquisite modernist geometry and color subtlety, can play a key role in uniting these disparate interior elements. 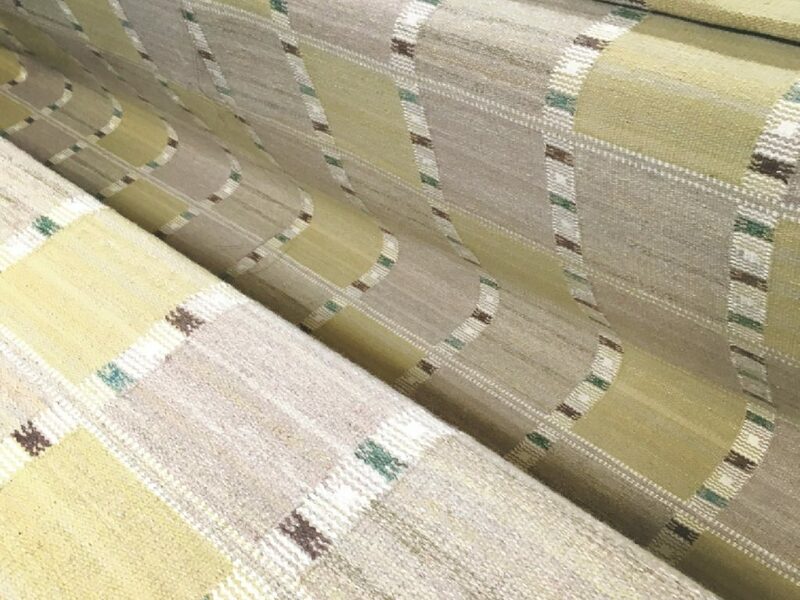 The exceptional craftsmanship used in weaving the rugs have long been recognized by people in the industry. Increasingly, these rugs are being considered by collectors as genuine works of art. They can be found in many museums such as: The Victoria & Albert Museum, The Metropolitan Museum of Art , The Louvre, Trondheim’s Museum in Norway, The National museum (Stockholm), The Röhsska Museum of Design and Decorative Arts (Gothenburg), Nordiska museet (Stockholm) and many others. 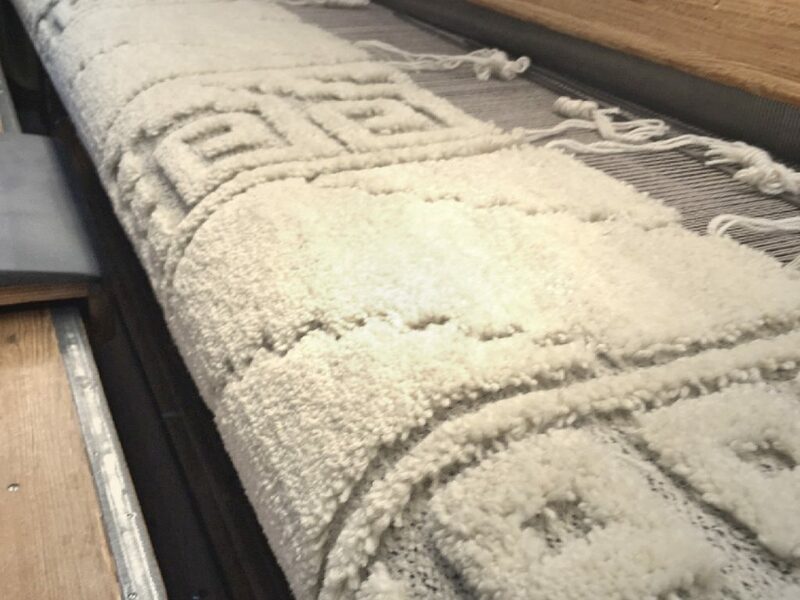 Works of art take time to be completed, and an MMF rug is certainly no exception. When we visited the workshop a few weeks ago, two extraordinary rugs were being woven. One was a stunning Falurutan, in soft greys and yellows, designed by Barbro Nilsson in 1952. The client came to the workshop in the summer of 2015 to place his 800.000 Swedish Crown-order (87.000 USD), and is still patiently waiting for it to be sent to him to be able to roll it out in his New York townhouse. The other was an exquisite Vita Spetsporten, 6,75 meter-wide and 7,50 meter-long, ordered by a client for his townhouse in San Francisco three years ago. The price tag? 2,5 million Swedish Crowns (271.000 USD). You may well want to consider vintage. 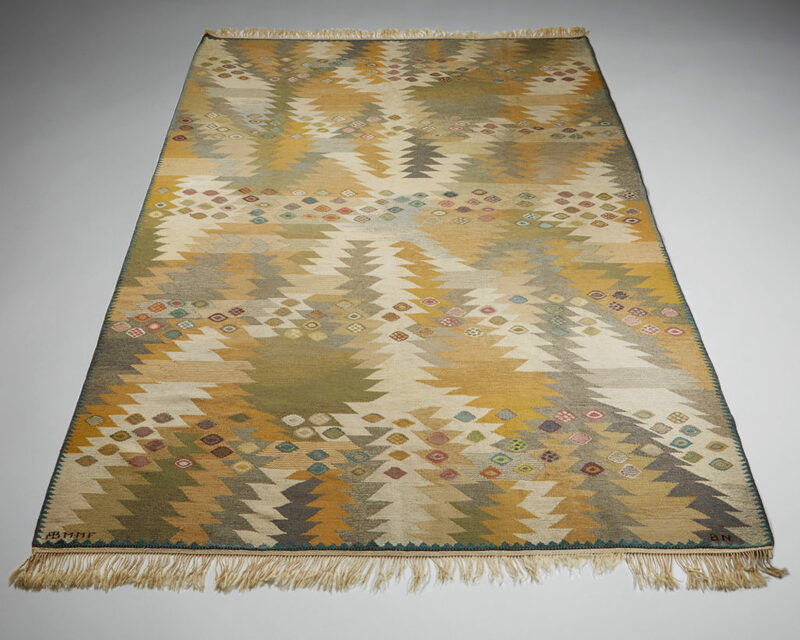 Many MMF vintage rugs are still in excellent - even pristine - condition, despite years of use in bourgeois Nordic homes. It may be because the sun is hardly ever strong enough here, in this land of long dark winters, to alter the colors. Or it may be because the social mores here dictate that you remove your shoes before you enter a house, even as a guest at a good dinner party. Or it may simply be the truly extraordinary craftsmanship of the pieces. 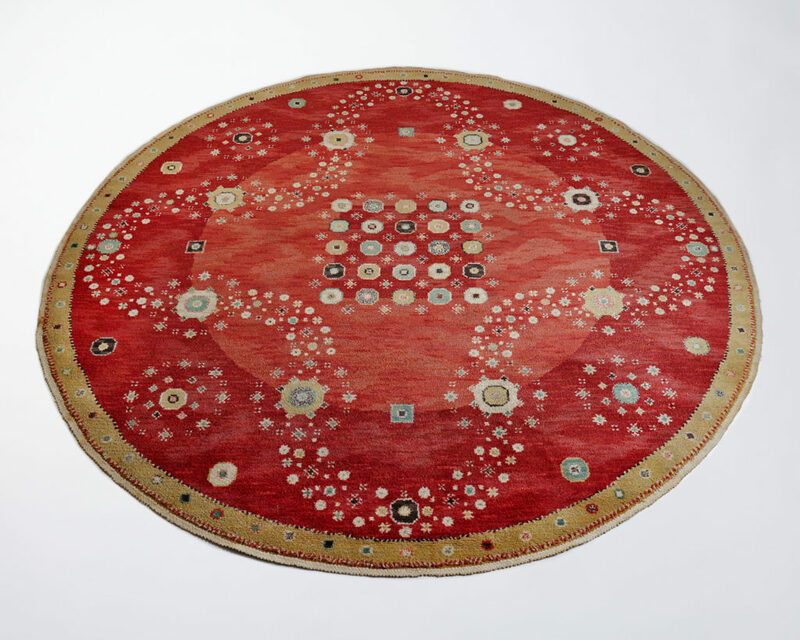 Here are some examples of MMF rugs available at Modernity now for worldwide shipping.